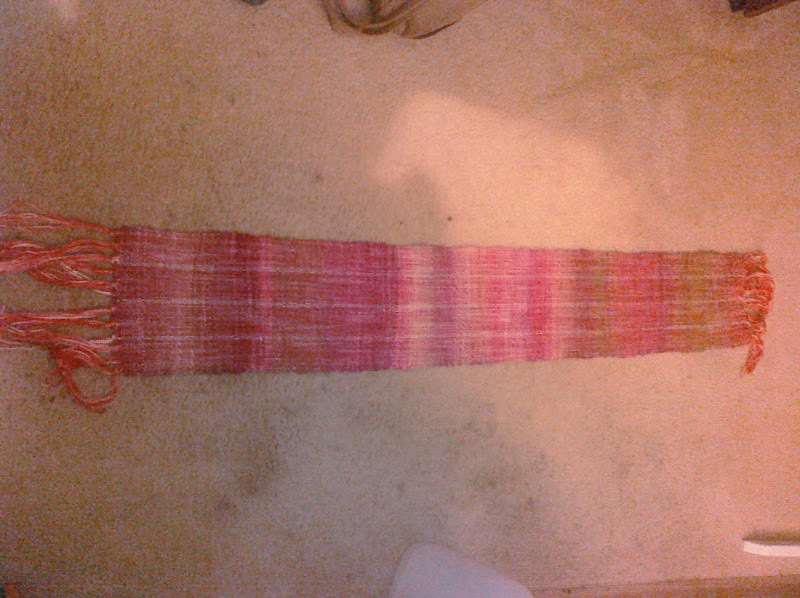 I am not hugely enamored of the finished scarf, first weaving project, pink zin. 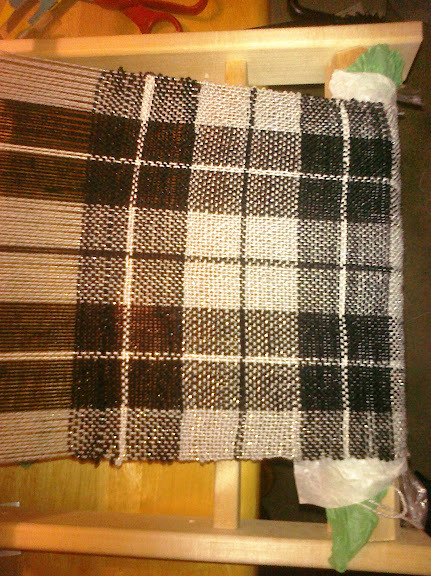 Mostly because, being woven from corriedale wool yarn, it is hugely unpleasant in terms of skin-touchiness. 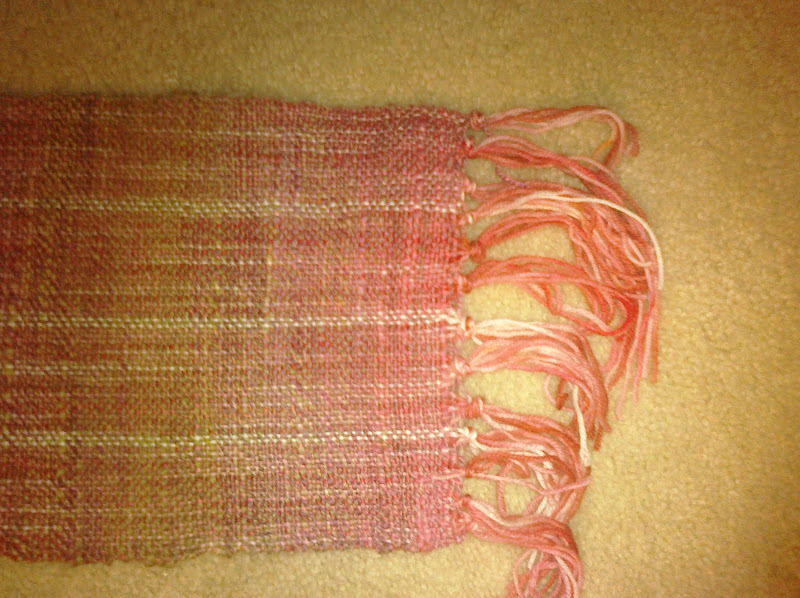 However, the fabric is relatively sturdy and has a really appealing coloration (it was happenstance, so that is not immodest). I thought it would make an excellent bag. I was interested in the Doni’s Deli Bag, because it makes a bag from one long and narrow strip of fabric. 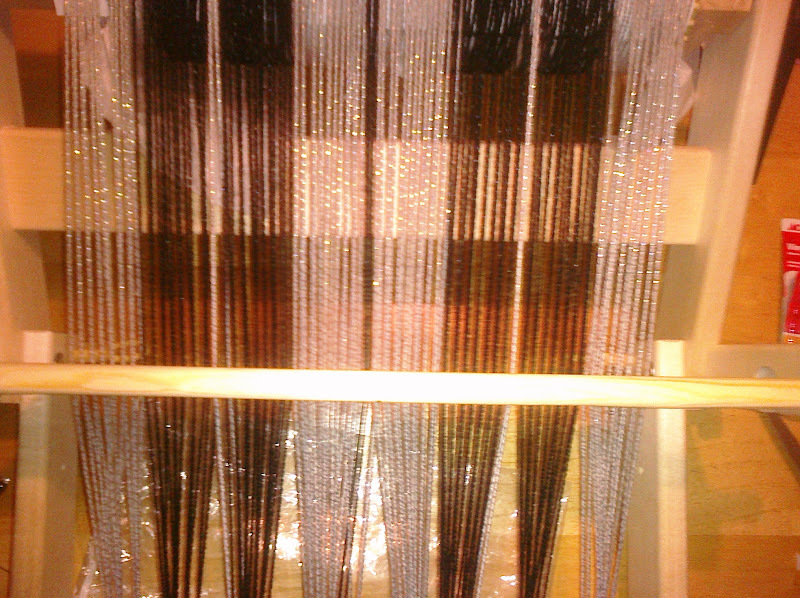 That seems ideal for weaving. But if you actually look at it conceptually, it makes a really wide bag with a really wide strap. I dislike wide bags because I tend toward single-purpose bags. I have a bag that is exactly the size of my writing notebook. 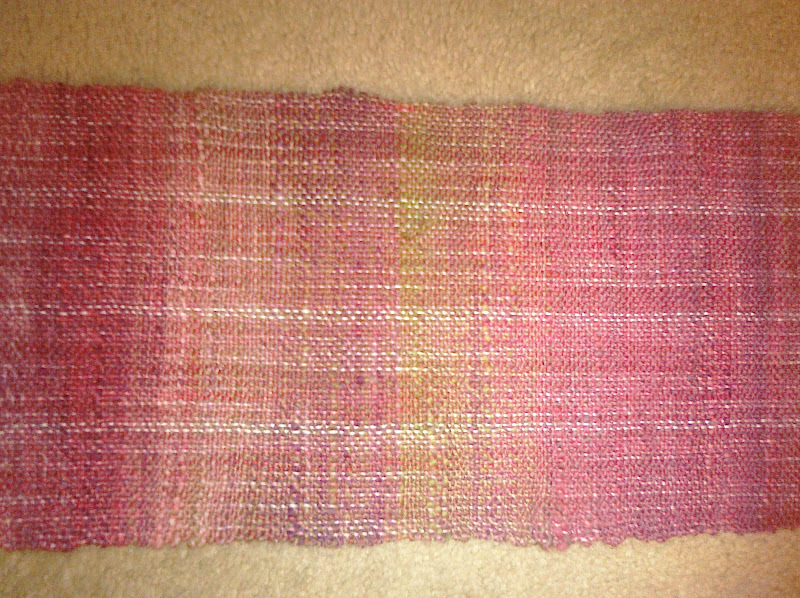 I have a handknit purse which is exactly the size of a paperback. My regular handbag is just large enough for keys, phone, and wallet. If you are thinking about this the way I am thinking about this*, the obvious solution is to sew the short ends together and to seam up the sides to the depth desired. Some reinforcement is definitely desirable, and if I made release cuts I could make the handle double-thick while making it half the width. I could use some advice on whether I am going to completely destroy the structural integrity of the scarf in forming the bag. I do have interfacing and a lining fabric ready. I can machine sew this to get greater stitch density.